Winds are blowing out of the East-Southeast at 19 mph, gusting to 23 and there is a moderate chop on the water. NOAA is calling for small craft to exercise caution through this evening. We have a chance of showers this afternoon. We had a wild, windy weekend and today we have more of the same. Fishing has been hit or miss for those windproof, patient anglers. Tommy Turowski at the Sebastian Inlet Bait and Tackle Shop reported a slower bite over the weekend. A few Mangrove Snapper have started to show up. 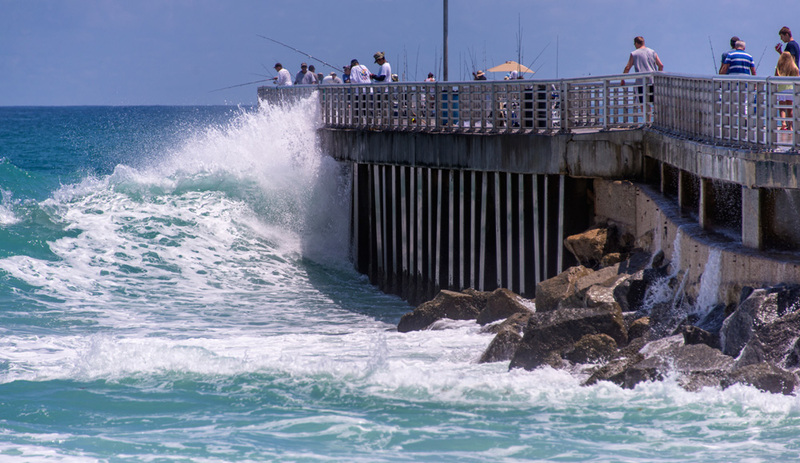 Jacks, Reds and Snook and Trout are hitting in the river and a few Pompano, Whiting and Blues are being landed in the surf.